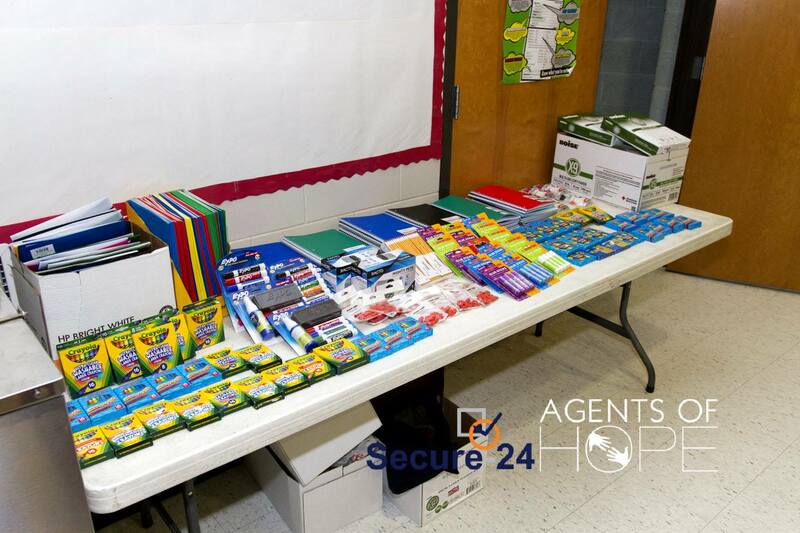 Our 2015 Back To School initiative was very successful. 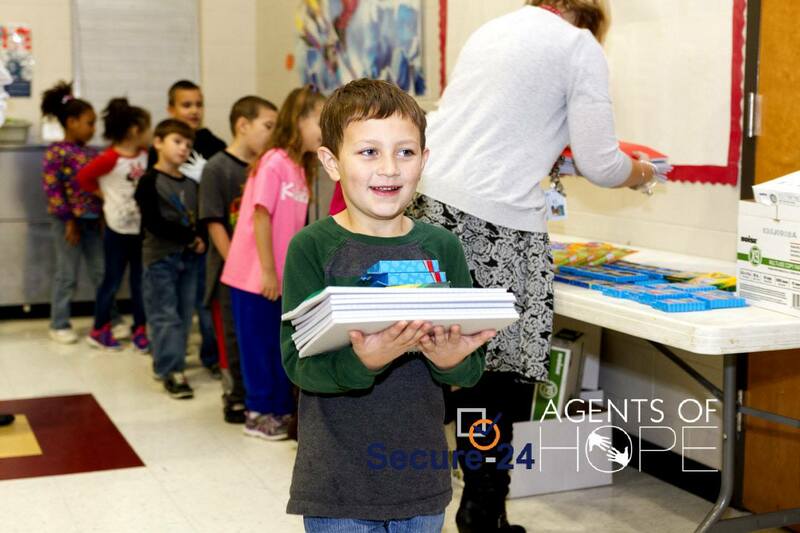 Our essay winner this year was Tina Lupo, first grade teacher at Fountain Elementary in Roseville, Michigan. 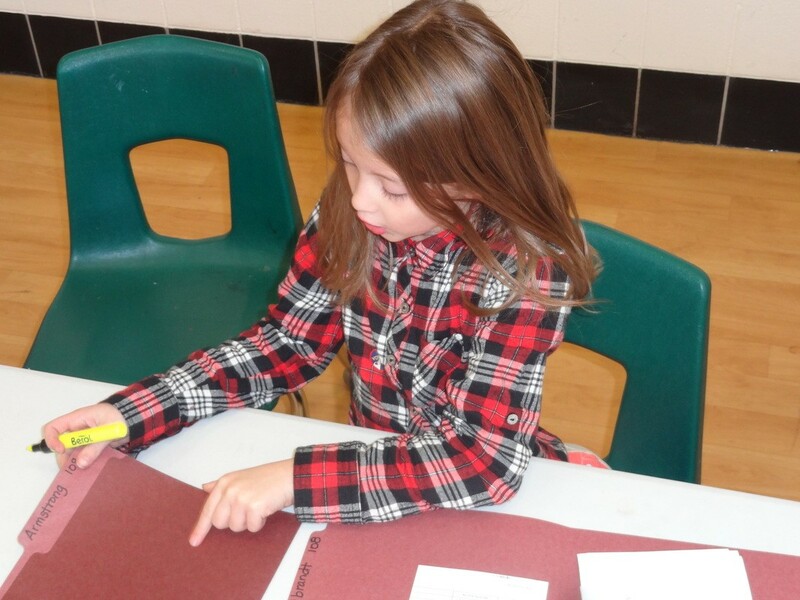 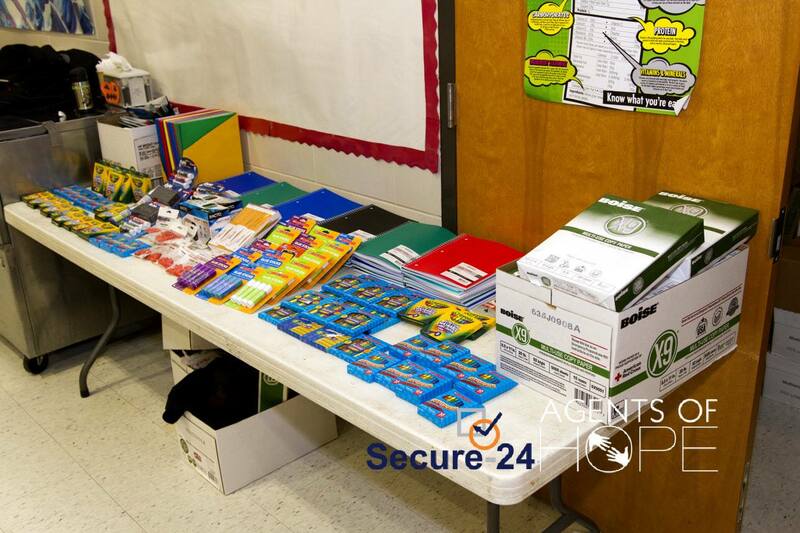 According to recent reports, teachers spend between $500 – $1,000 per year out of their own pockets on school supplies due to cuts in education and financial issues. 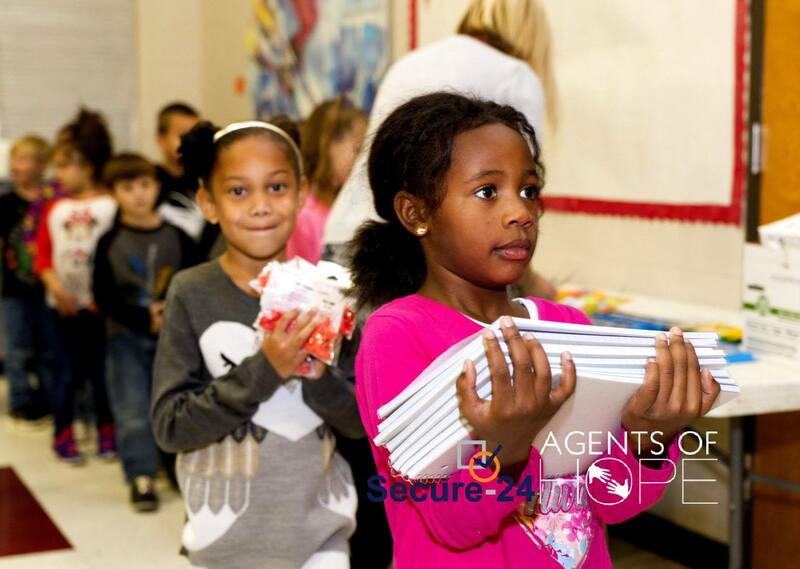 The Back to School Campaign will help ease the burden from these budget shortfalls as well as the student’s families. 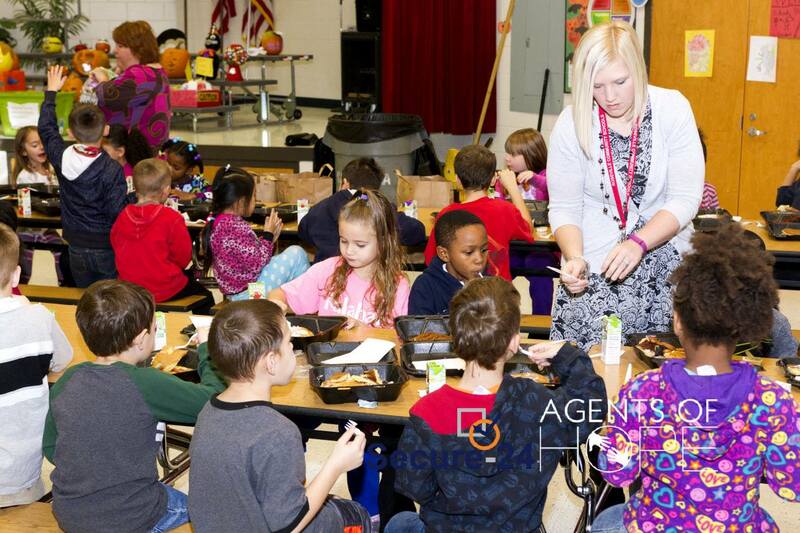 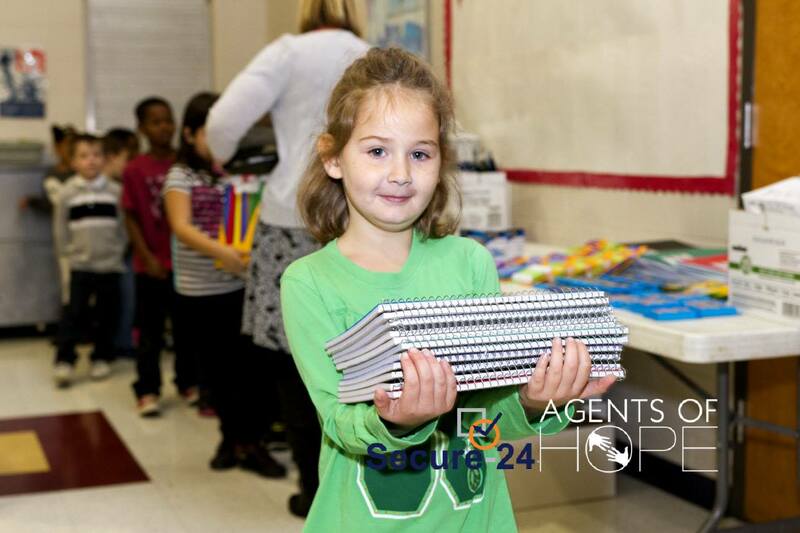 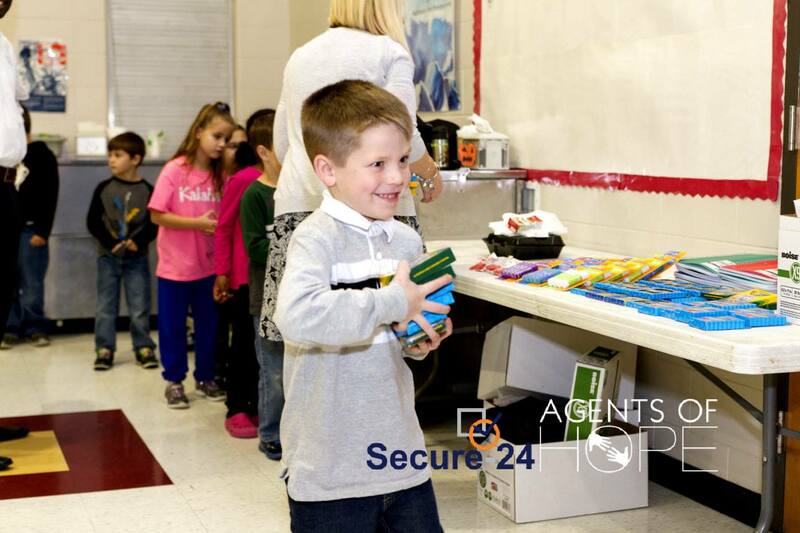 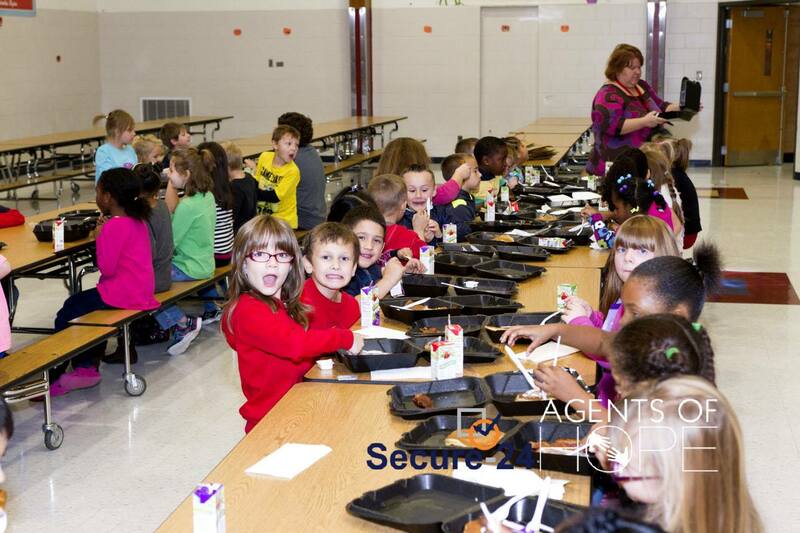 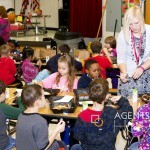 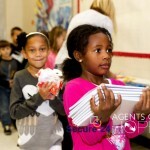 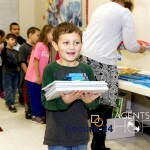 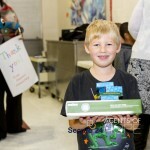 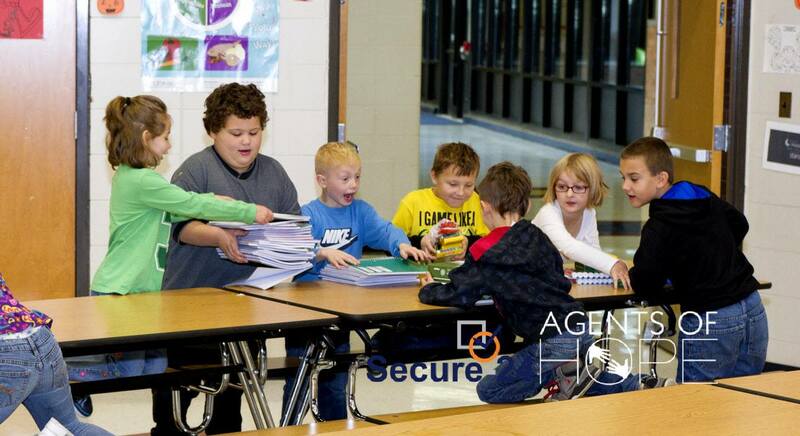 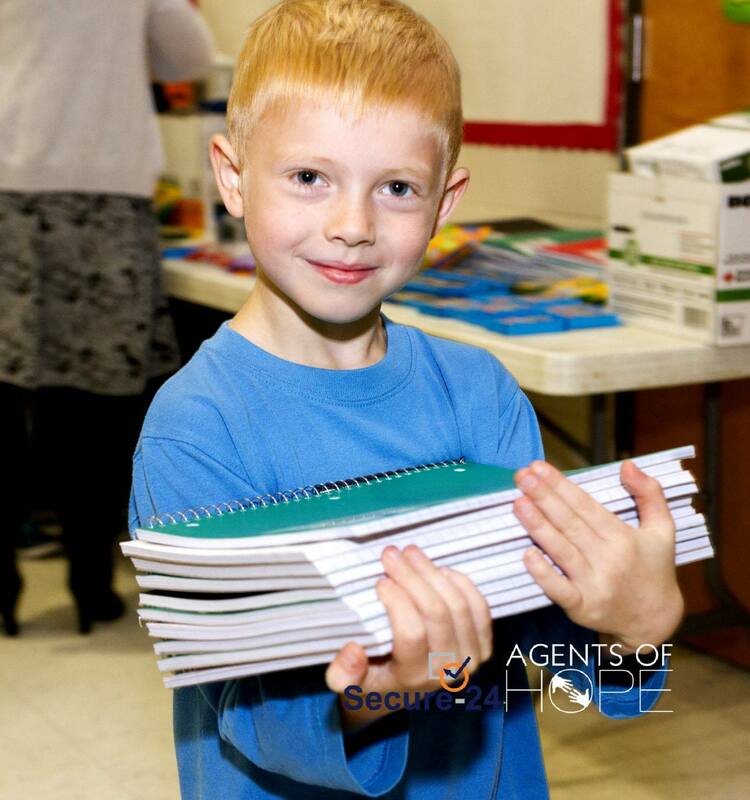 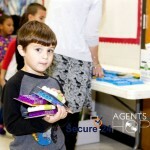 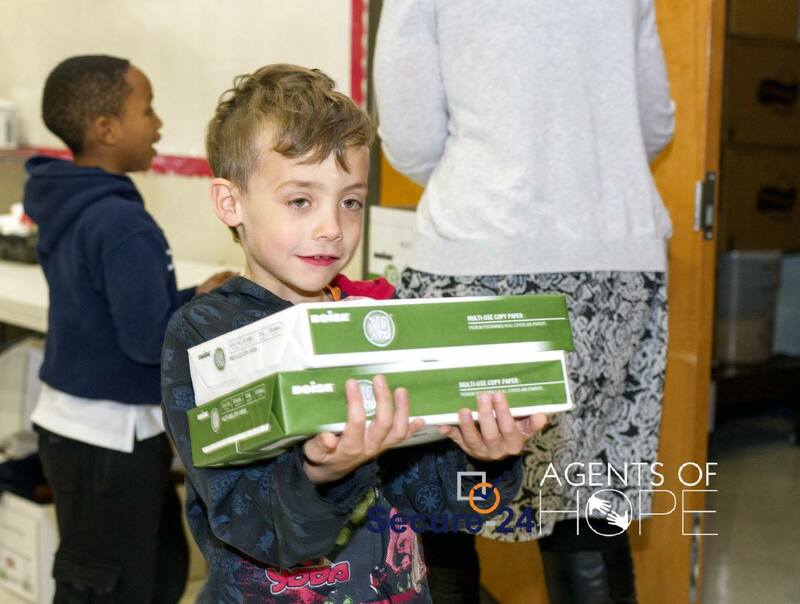 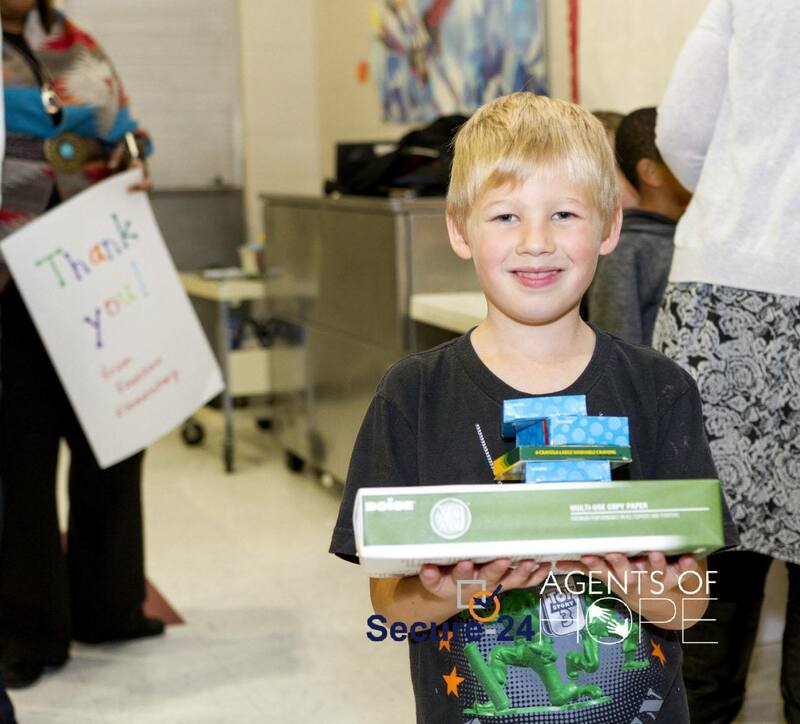 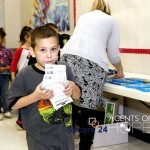 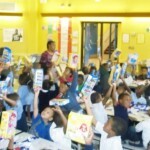 This morning, 60 first graders were greeted with hot breakfast and school supplies from Agents of Hope. 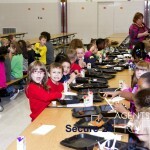 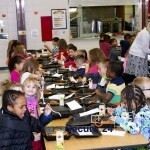 National Coney Island, Groesbeck Nighway in Roseville, Michigan did a fantastic job preparing and packaging breakfast for the first graders. 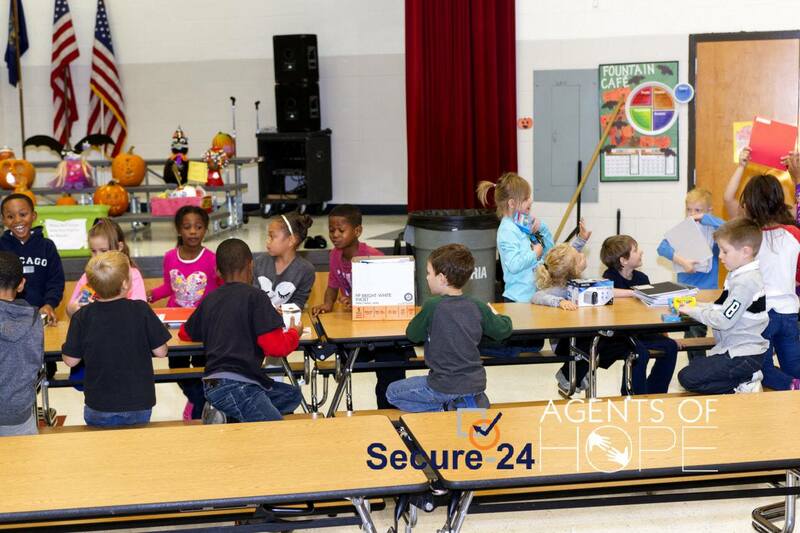 Special thanks to our sponsor, Secure-24, a great company headquartered in Southfield, Michigan, specializing in managed cloud services, application hosting and application performance management. 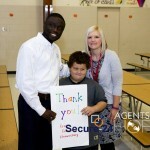 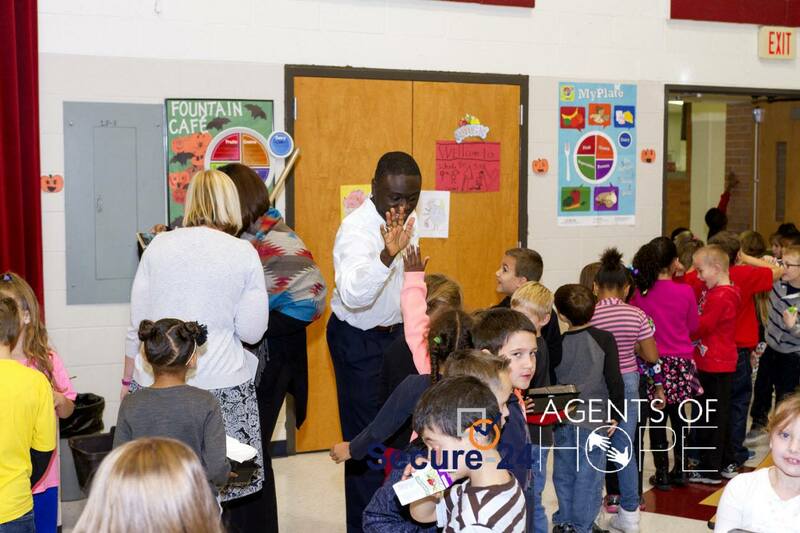 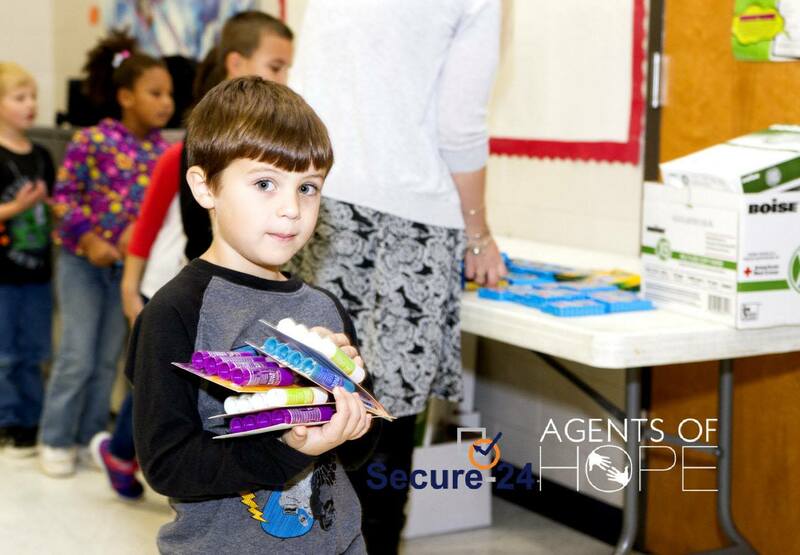 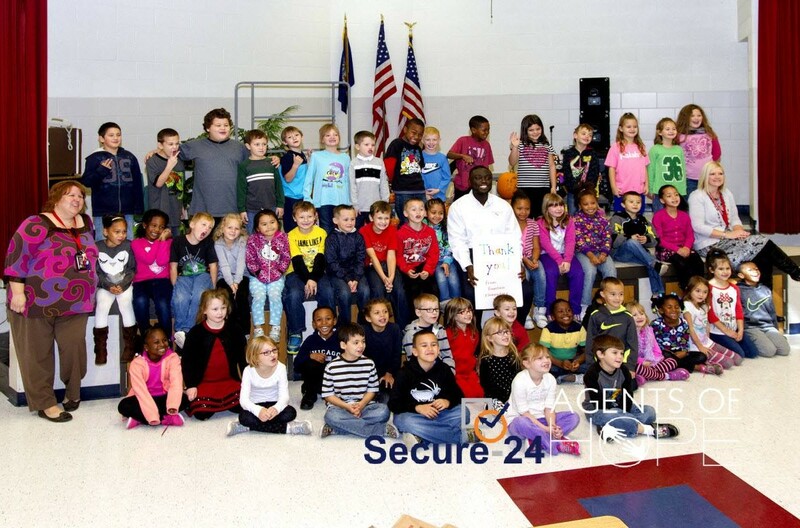 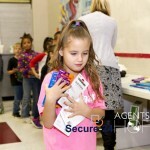 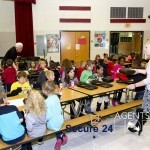 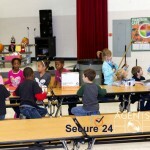 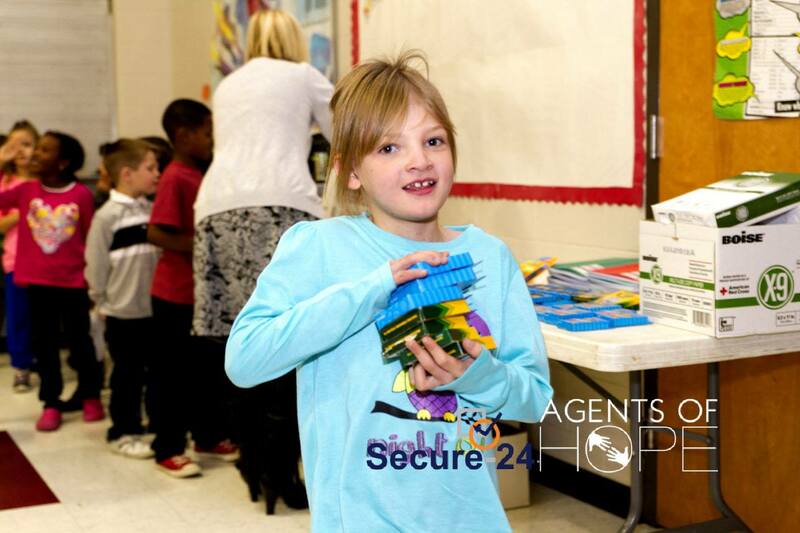 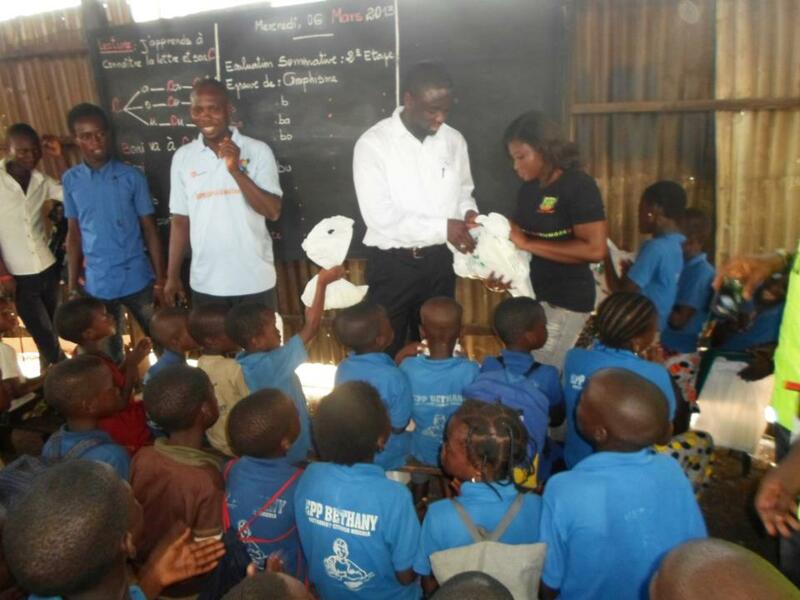 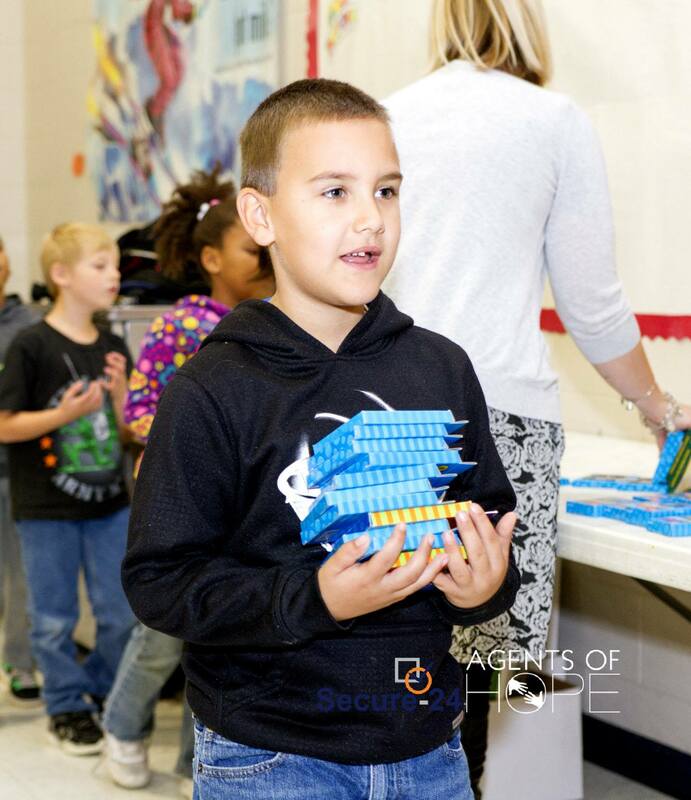 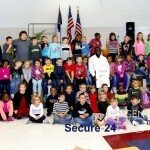 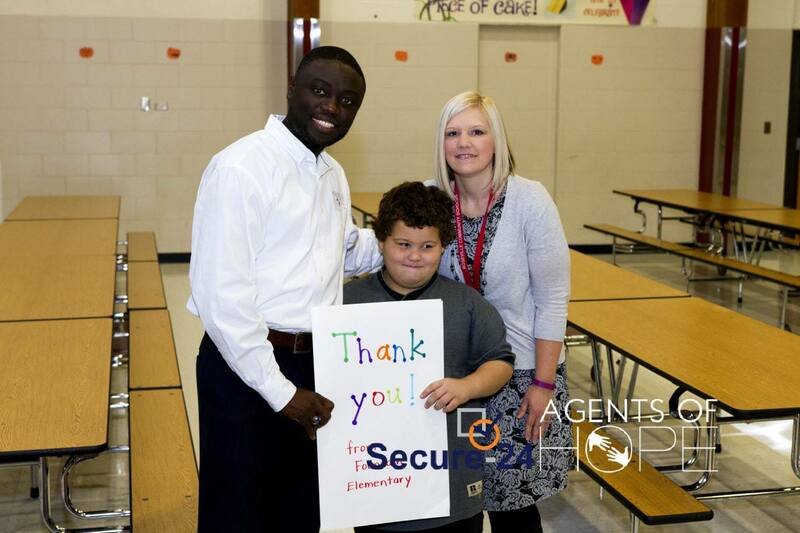 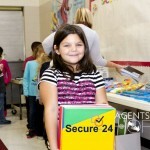 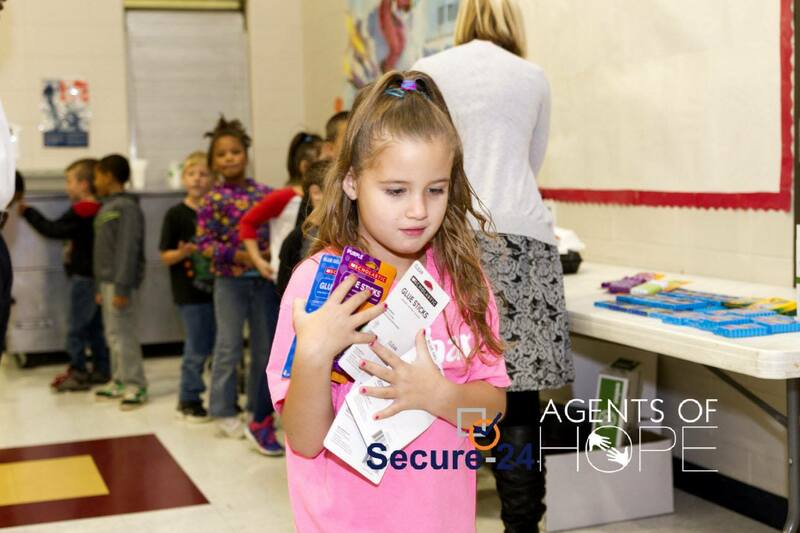 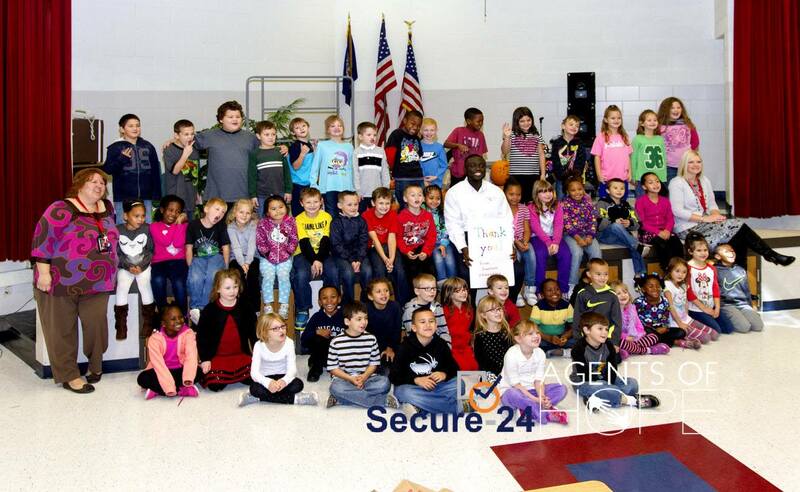 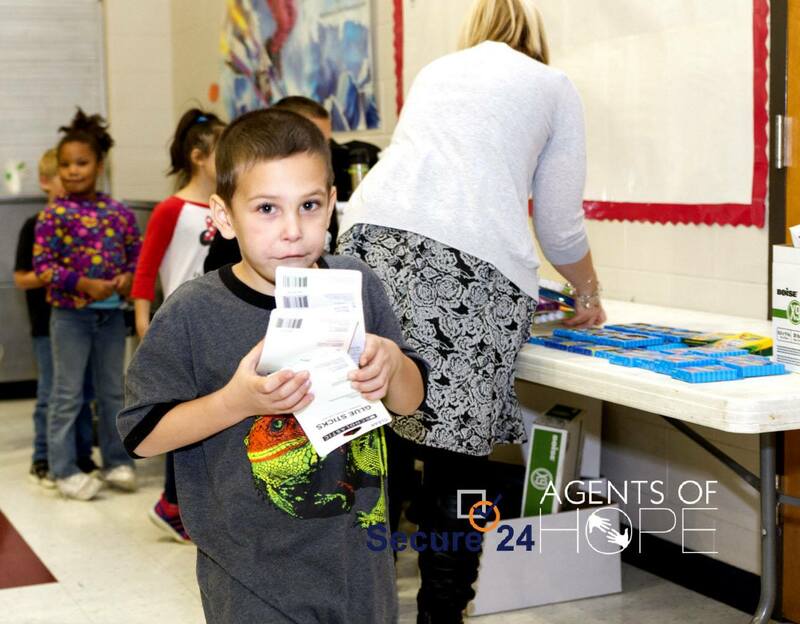 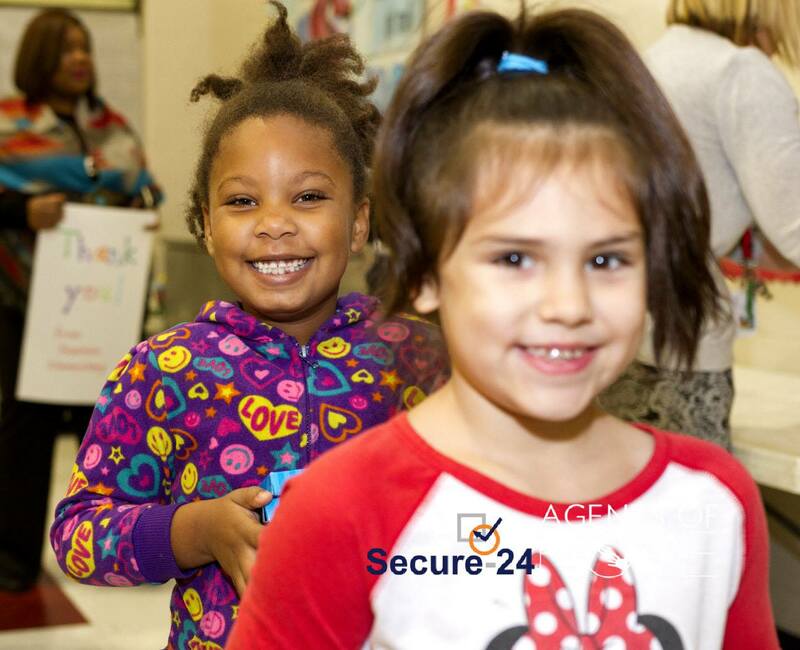 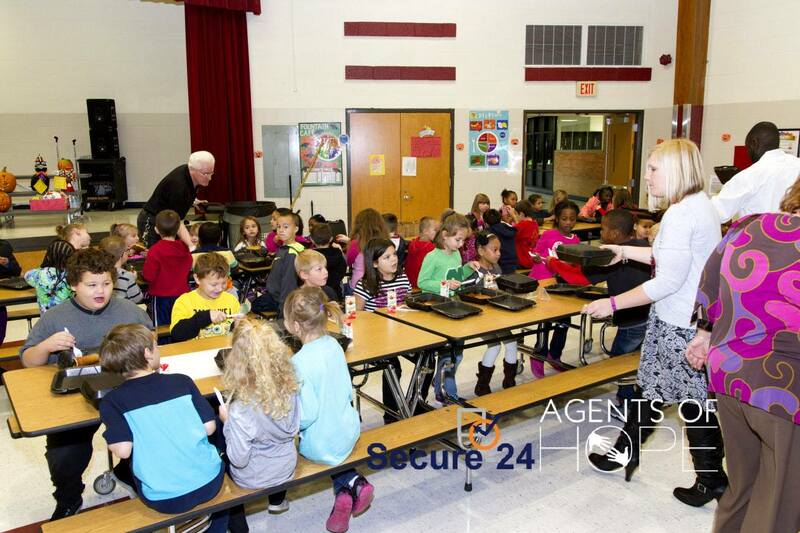 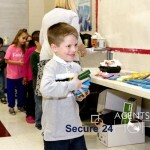 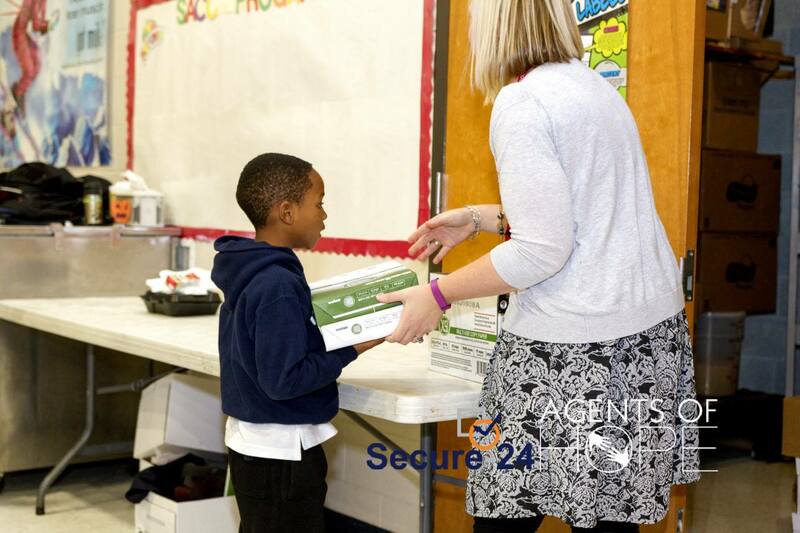 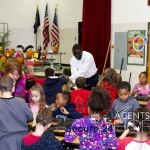 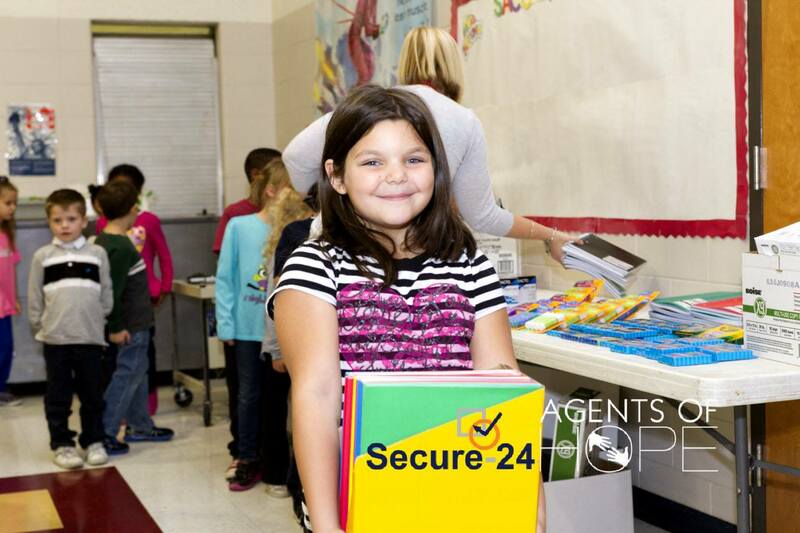 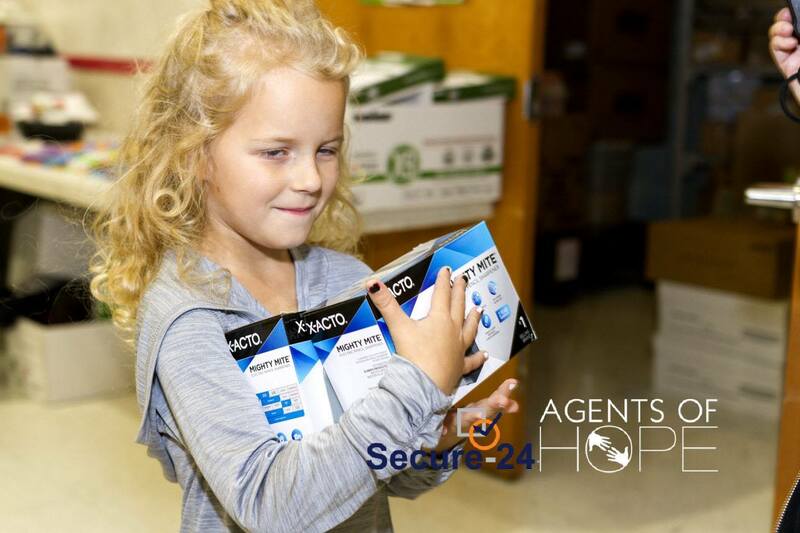 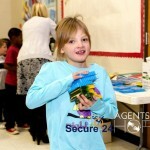 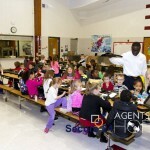 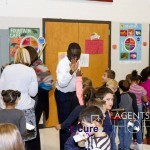 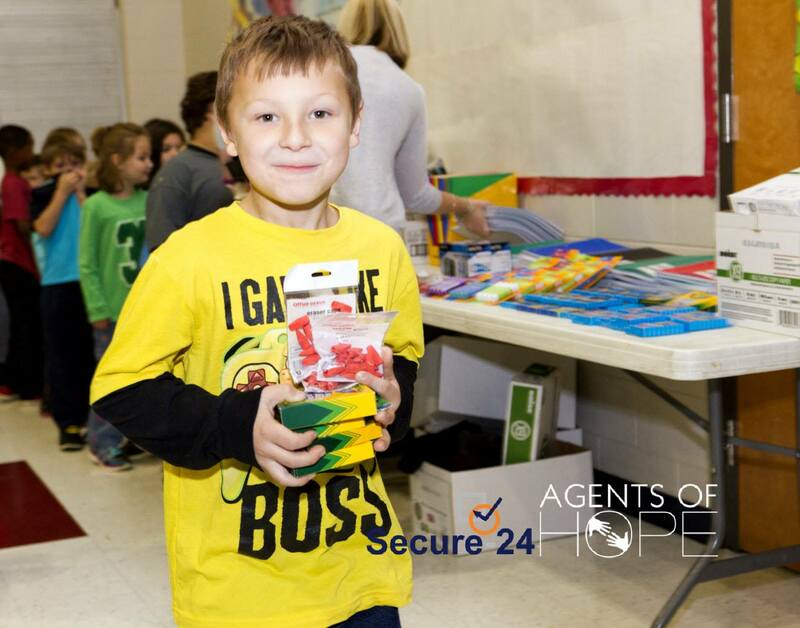 Secure-24 has supported Agents of Hope on several initiatives and community events. 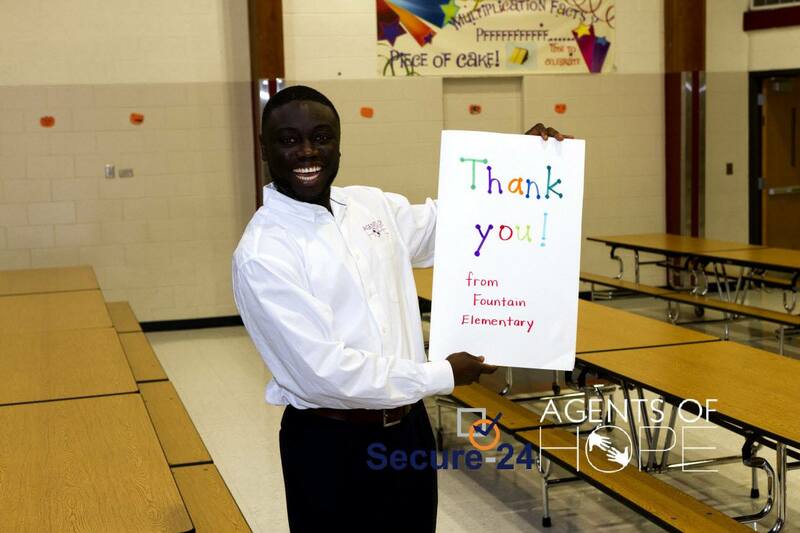 We are very thankful. 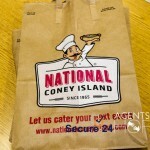 Also, many thanks to the staff and management of National Coney Island located on Groesbeck Highway in Roseville, Michigan for a wonderful job with the fantastic breakfast. 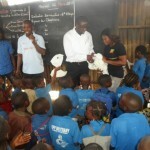 The children were very happy! 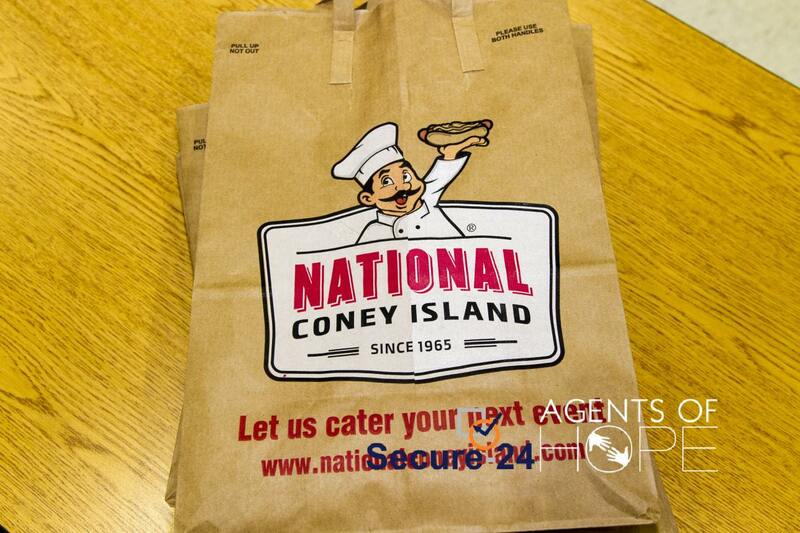 National Coney Island currently owns and operates 20 restaurants in Southeastern Michigan and has been in business since 1965. 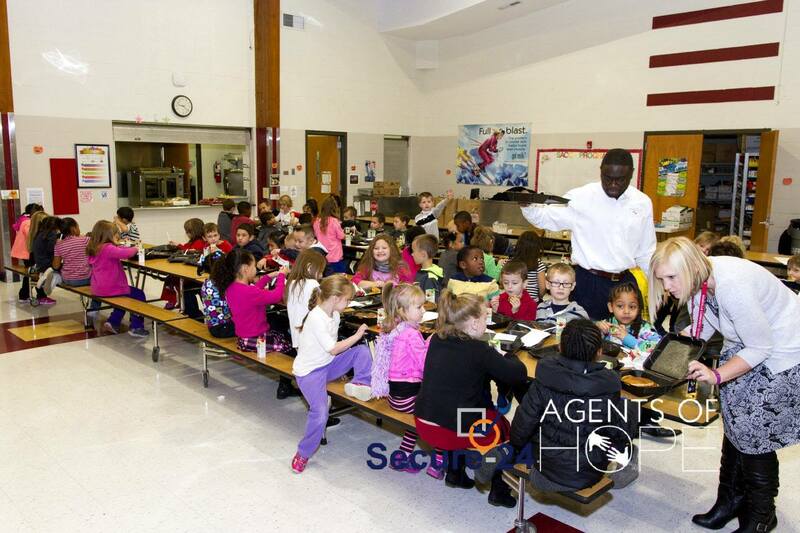 The corporate headquarters are located in Roseville, Michigan, home of the original location! 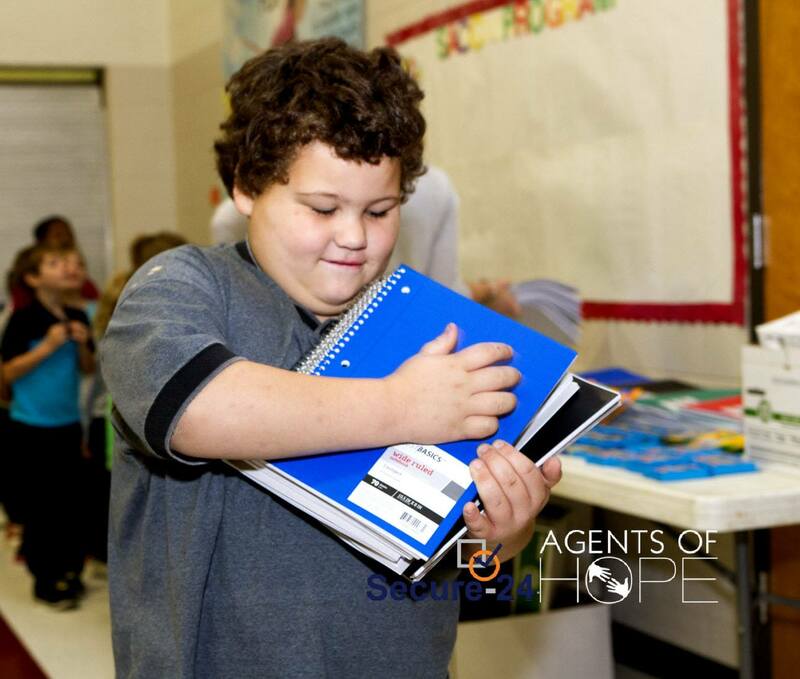 Agents of Hope looks forward to more opportunities to help schools deliver great education to students everywhere. 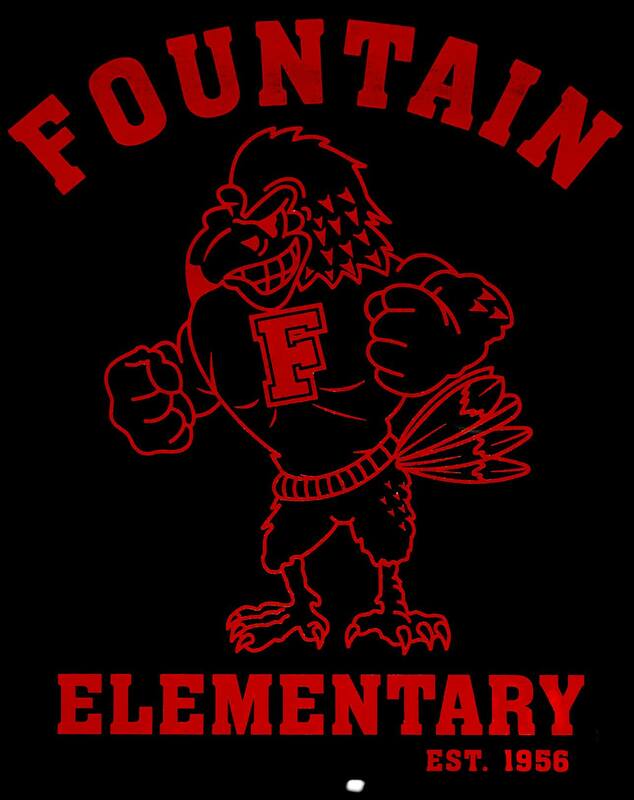 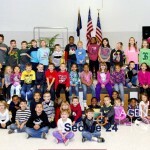 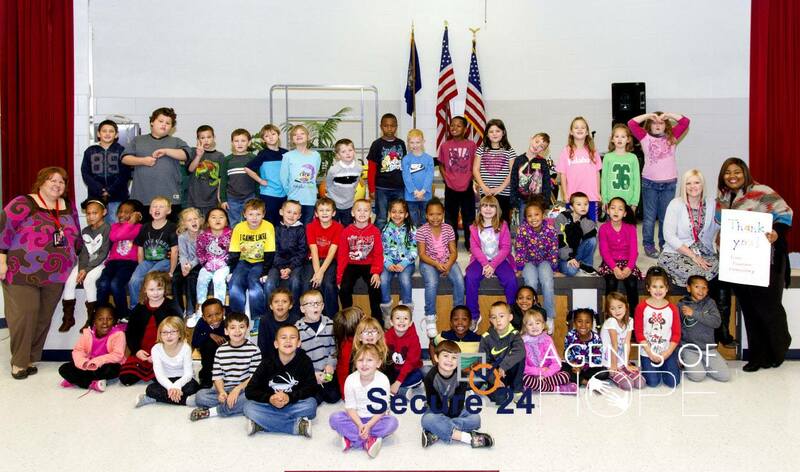 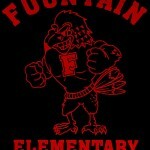 Congratulations to Fountain Elementary in Roseville, Michigan! 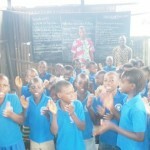 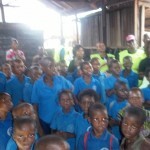 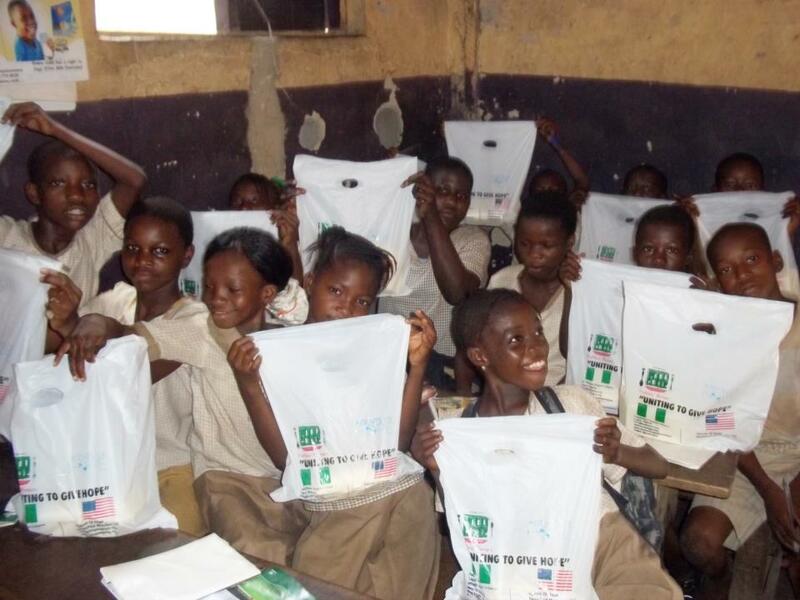 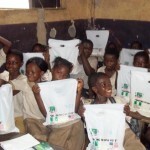 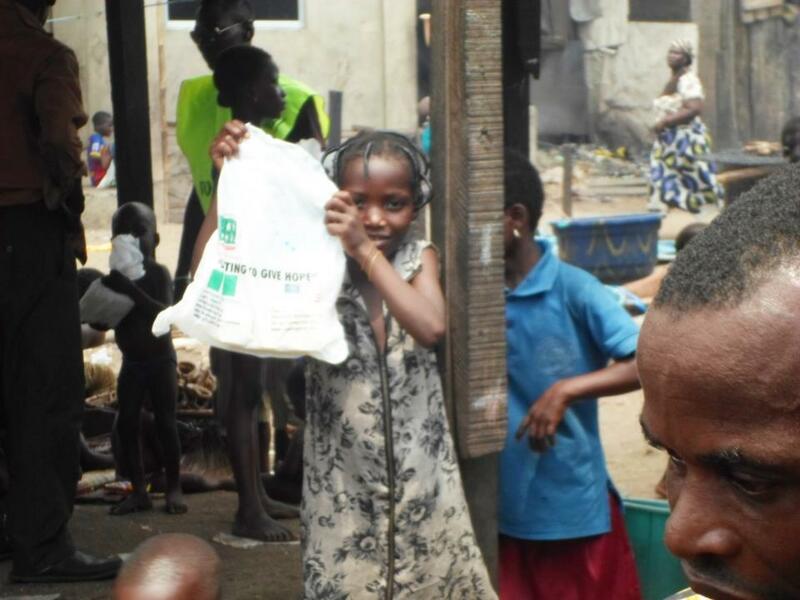 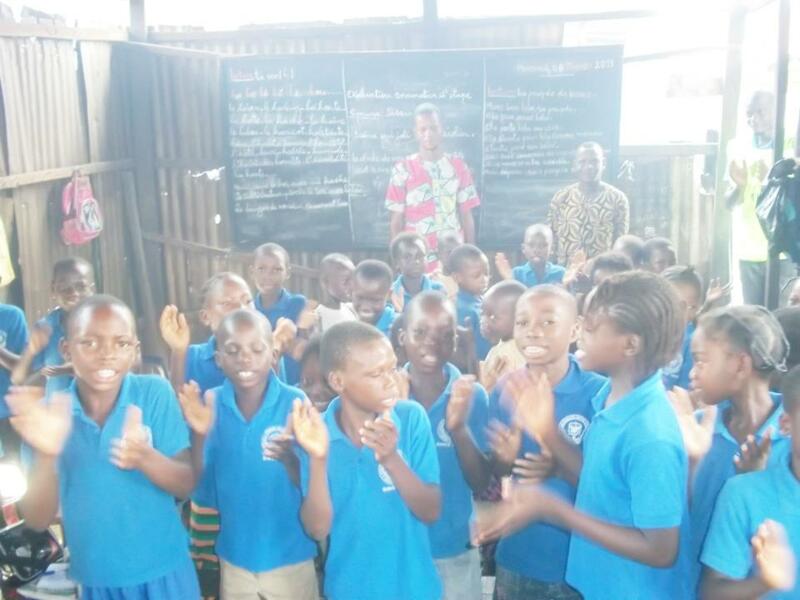 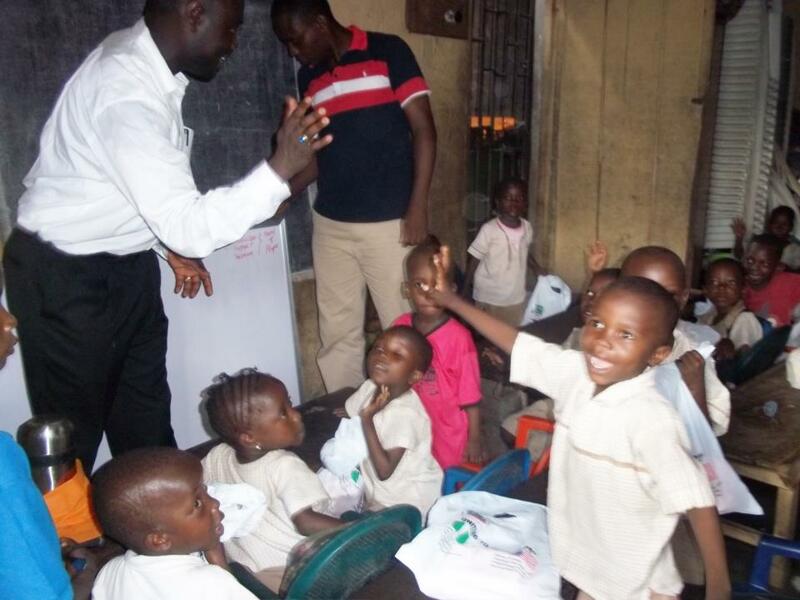 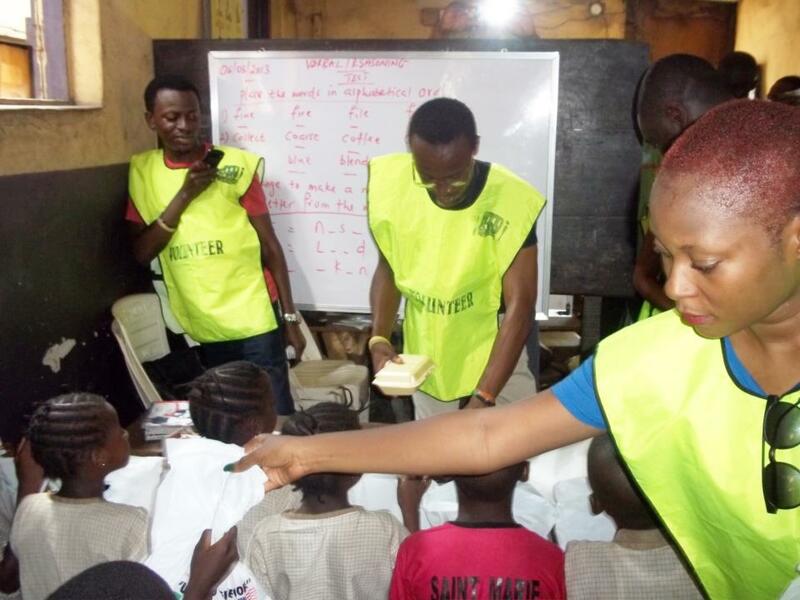 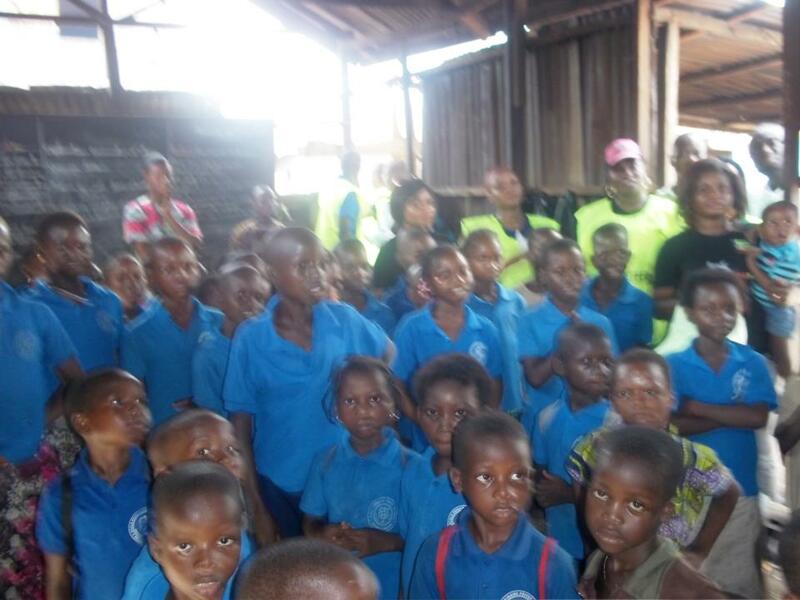 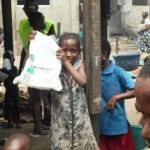 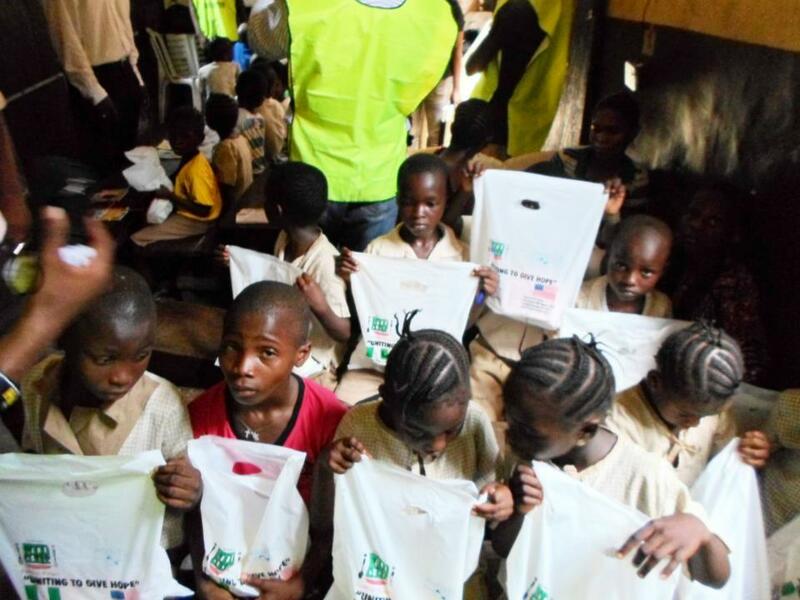 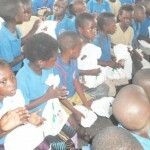 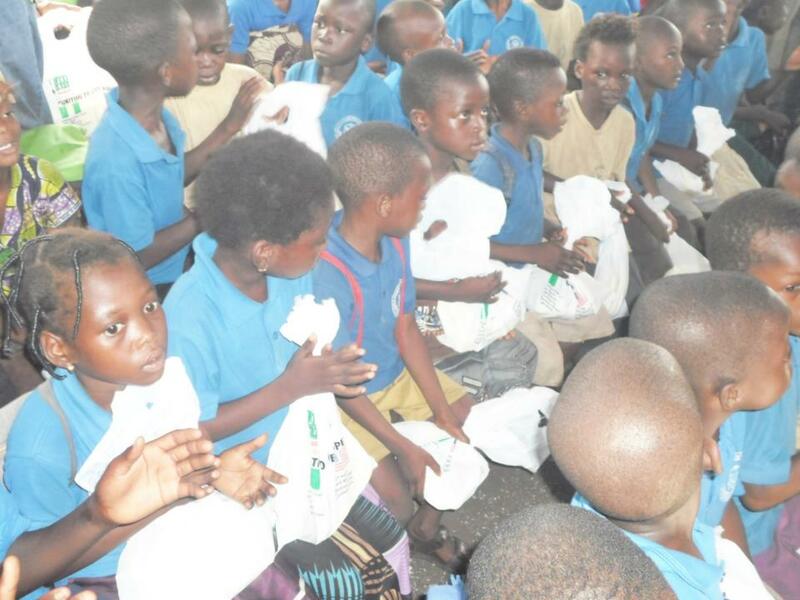 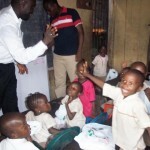 MAKOKO, NIGERIA: Over 400 hungry young elementary students were given food HopePacks in this joint charity campaign by Agents of Hope and FoodClique. 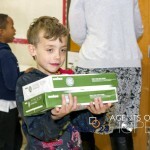 The children were so excited by the surprise visit and both schools also received whiteboards and dry erase markers to aid in their learning. 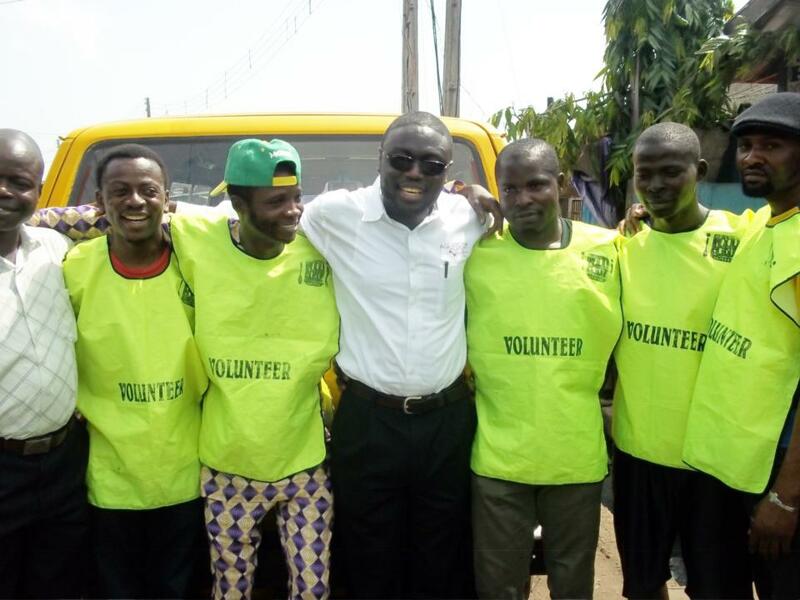 Agents of Hope founder, Mr. Shola Salako, and the charming volunteers from FoodClique were greeted with glorious songs and applause. 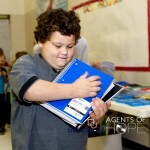 It was quite a hope-filled day indeed. 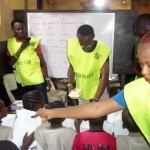 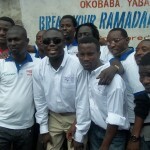 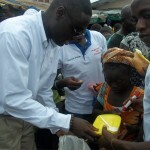 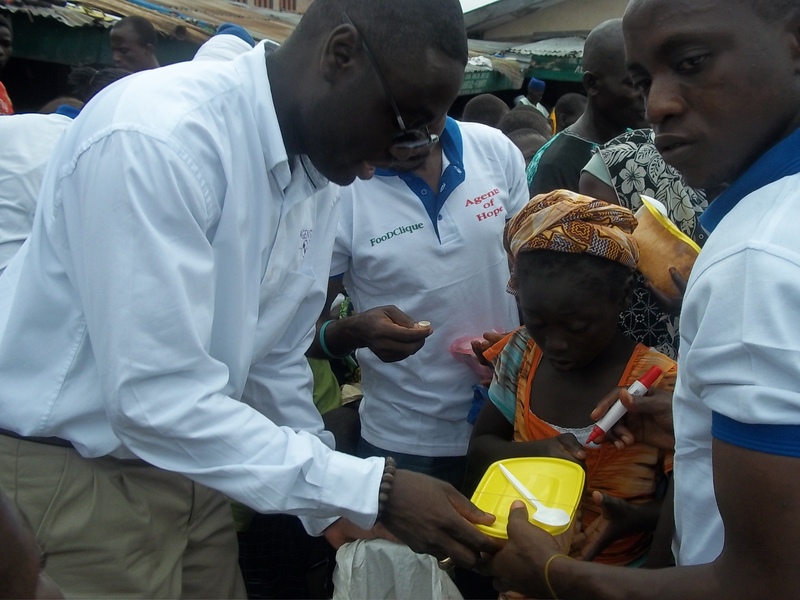 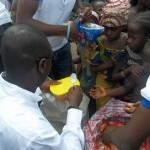 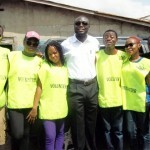 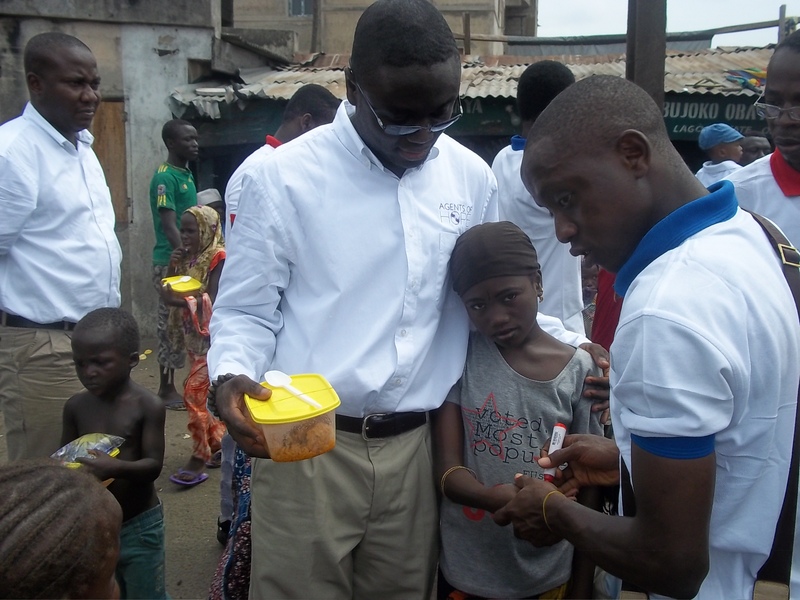 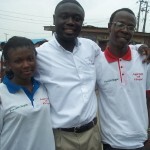 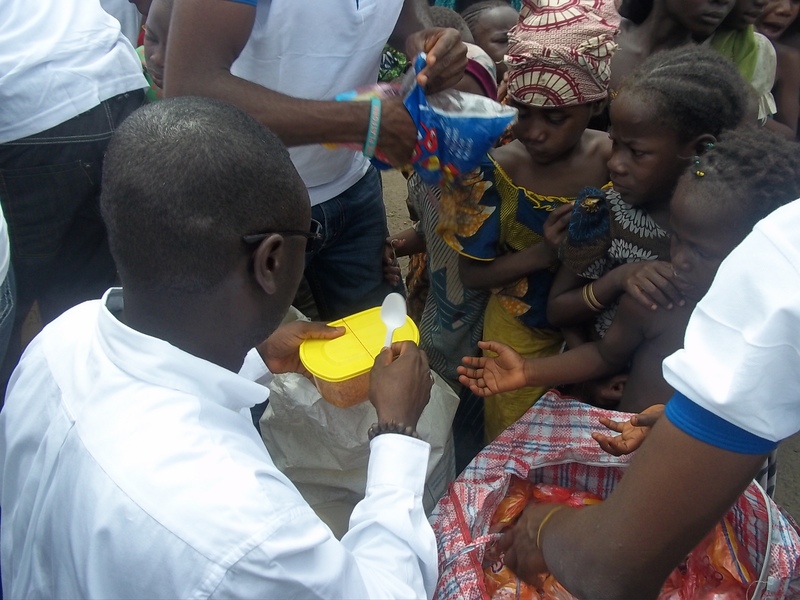 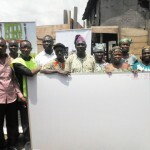 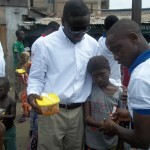 Foodclique founder and co-founder, Mr. Bolajoko Fadipe and Mr. Akintunde Akerele respectively, had recruited a passionate team of locally-based volunteers for this successful effort. 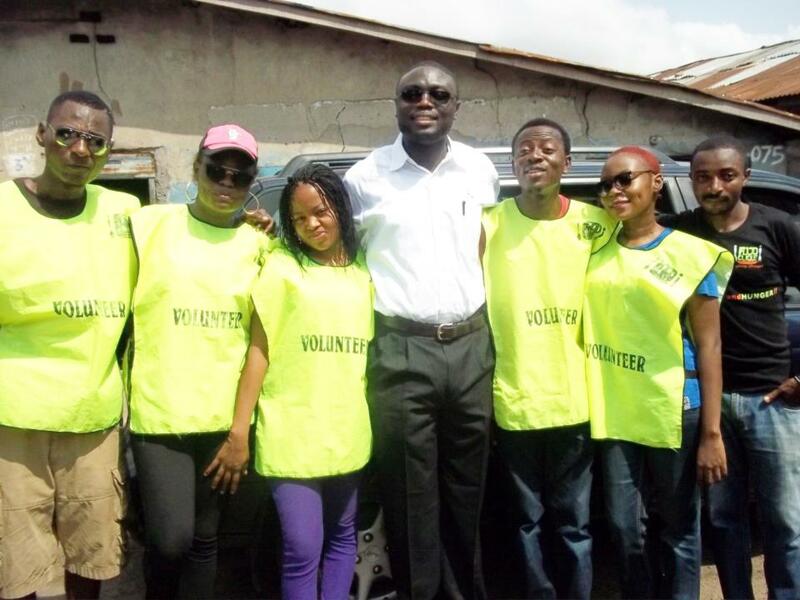 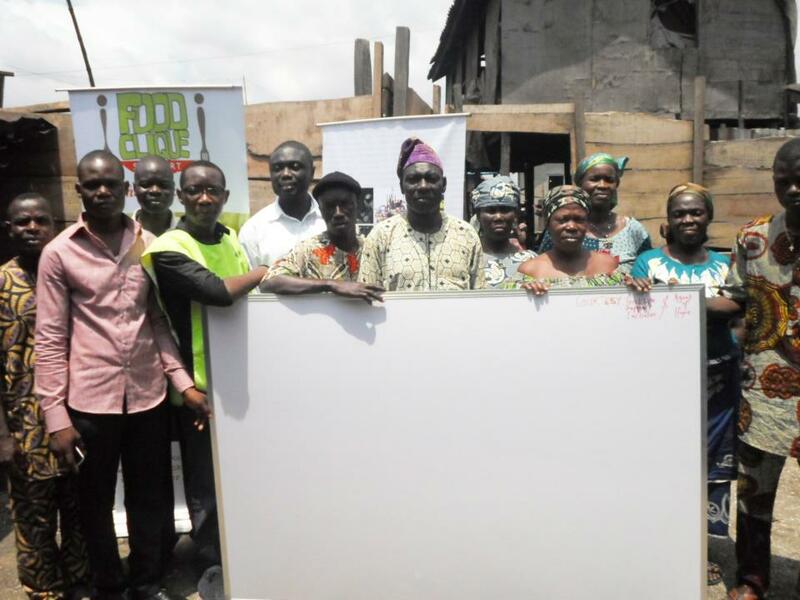 The support and approval of the Makoko community was received through the diligence of Mr. Paul Aworetan, Youth Development Leader for the Makoko community. 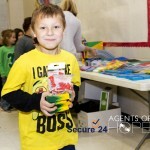 Agents of Hope would like to specially thank its donors for generously funding this campaign. 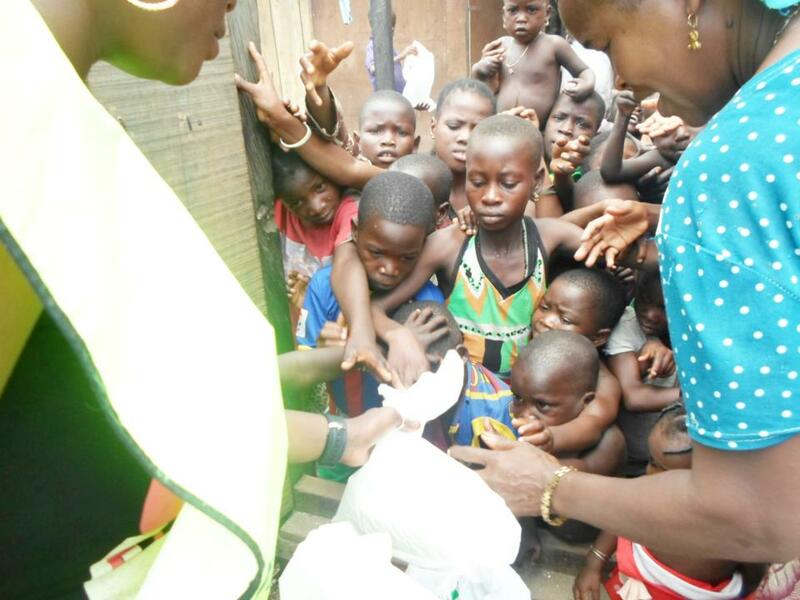 Agents of Hope would also like to express deep gratitude to FoodClique Nigeria and all volunteers for their selfless service in giving hope. 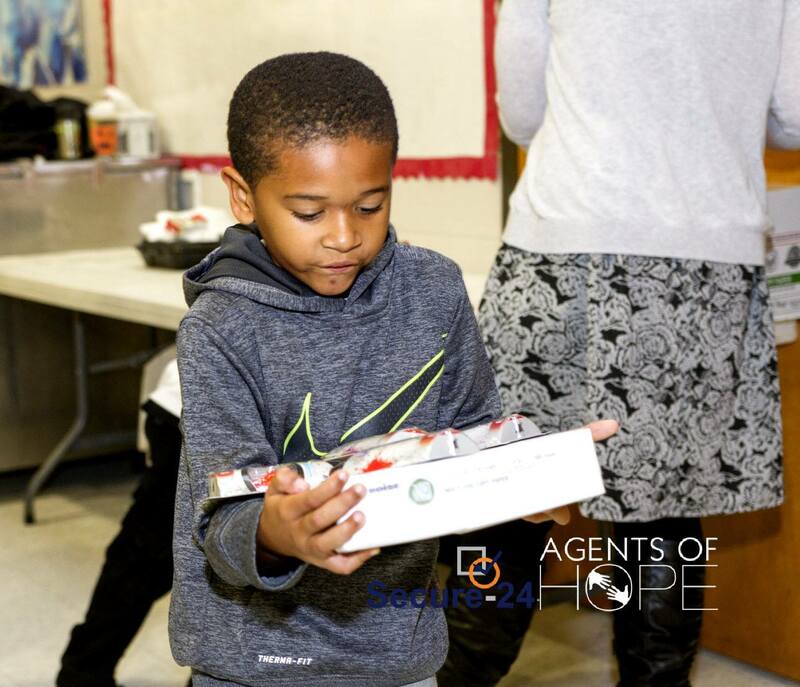 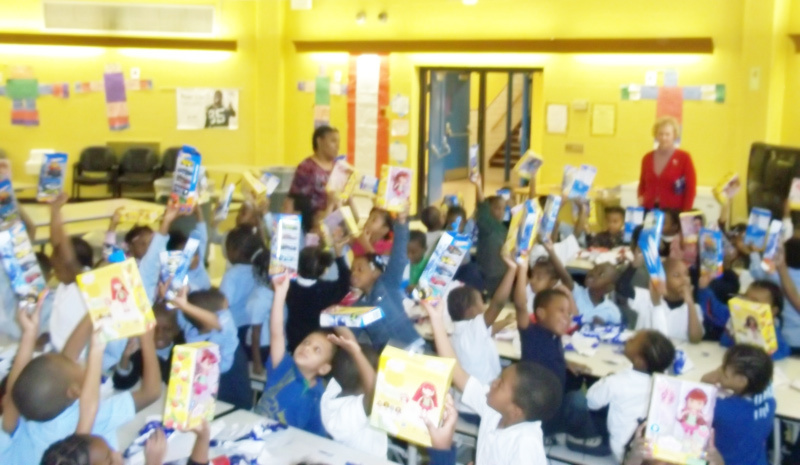 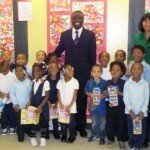 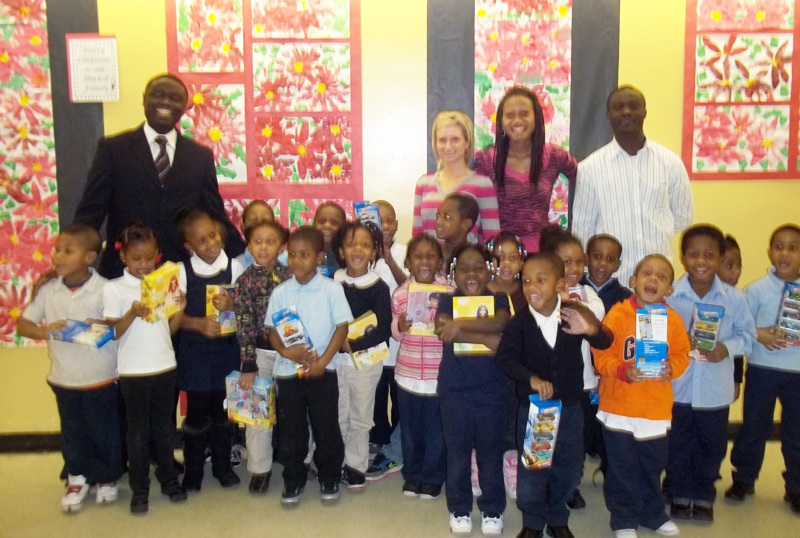 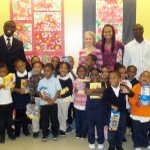 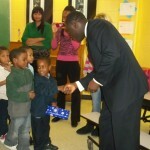 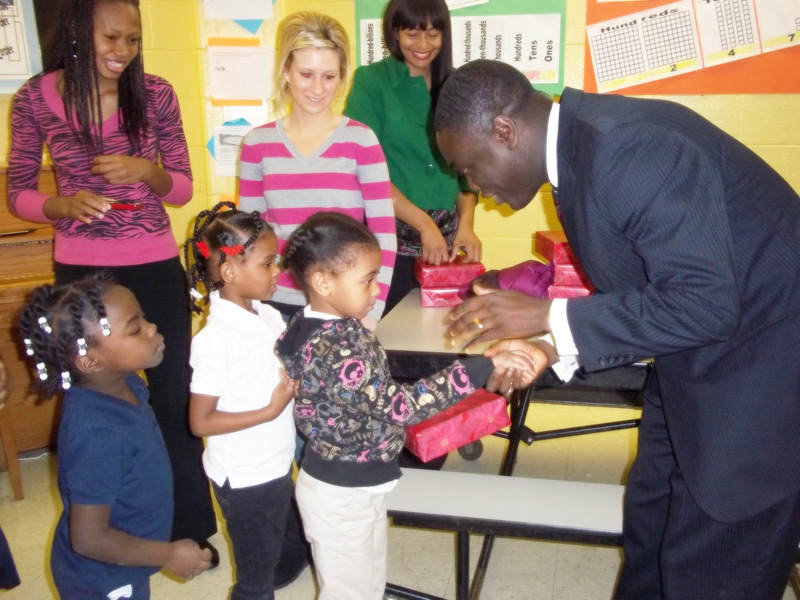 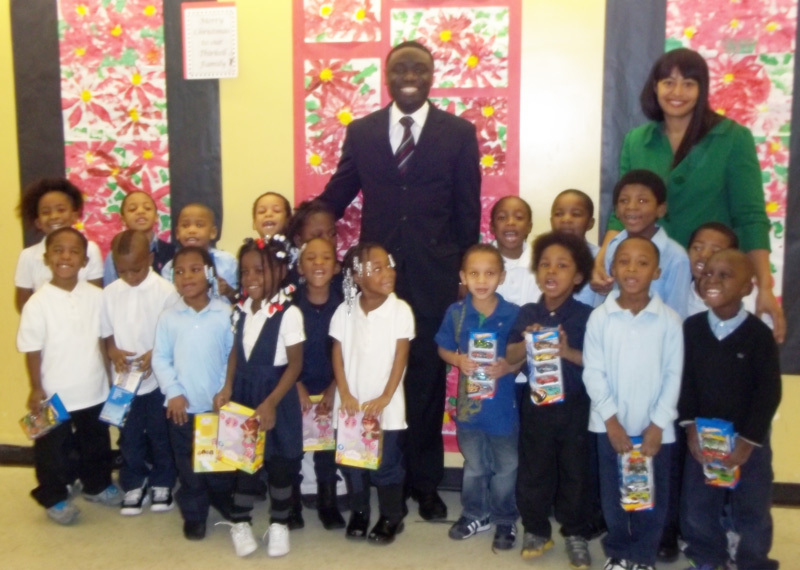 DETROIT, MI — Agents of Hope gave holiday gifts of toys to 70 happy kindergarteners at Thirkell Elementary School in Detroit. 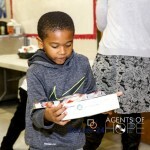 Led by Shola Salako, founder of Agents of Hope, volunteers delivered the gift-wrapped toys — colorful red for girls and navy blue for boys — as they greeted the wonderful students in holiday cheer. 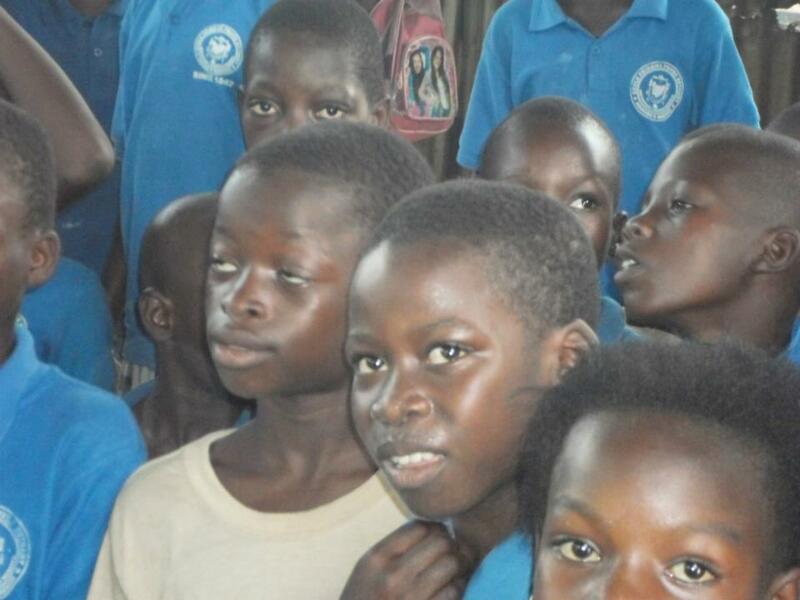 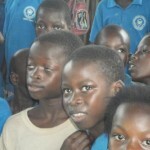 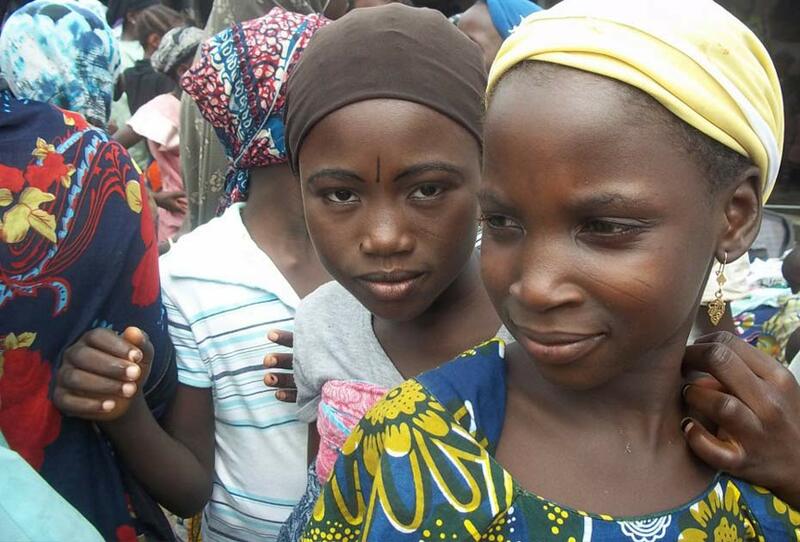 “A lot of these kids are very needy and own very little. 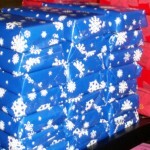 These gifts would mean a great deal to them and it is very nice to know that there are people in the community who care. 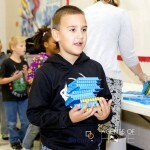 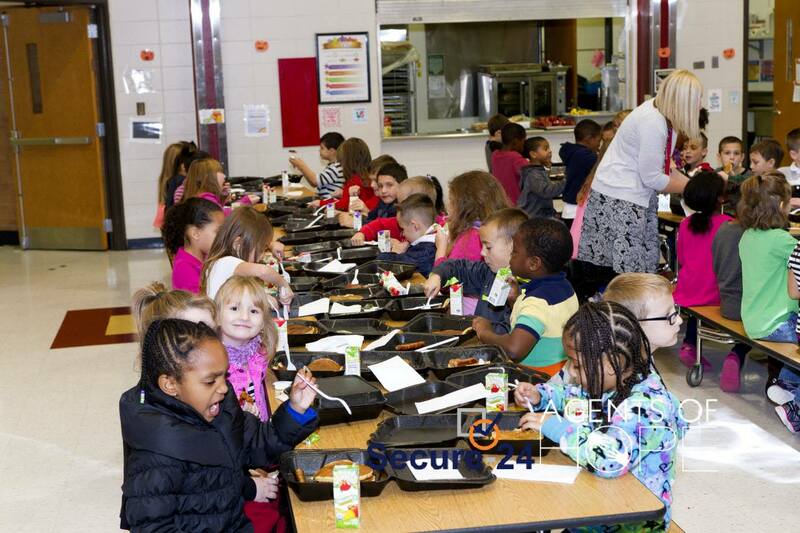 I am sure their parents would be deeply appreciative,” said kindergarten teacher, Ms. Montee Clay, as she ushered the children into the school’s cafeteria. 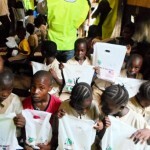 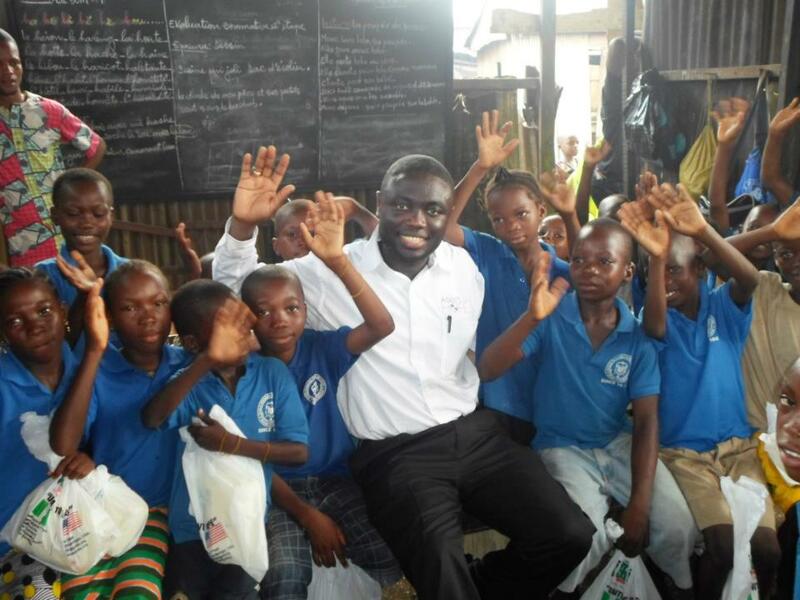 Mr. Salako says the charity project is very much needed especially with the recent tragedy at the Connecticut Sandy Hook Elementary School where young children where killed. 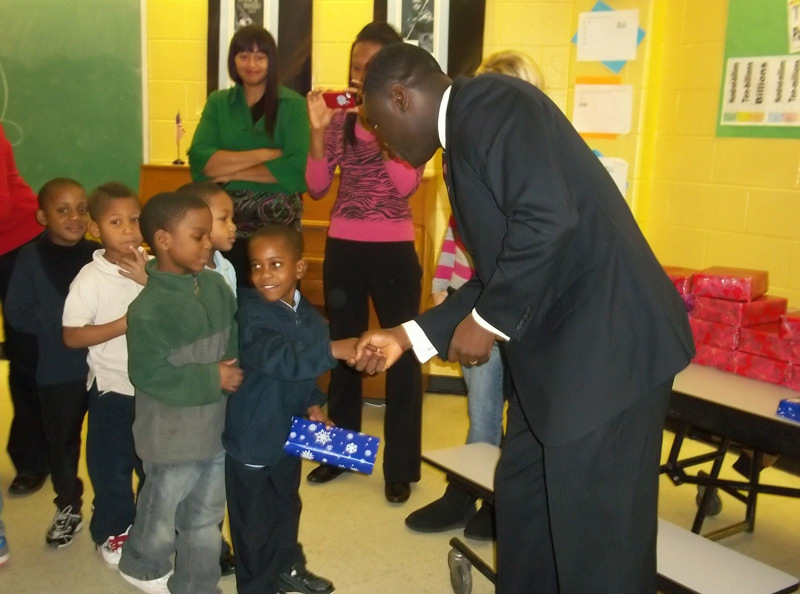 The collective consciousness of Detroit needs to be lifted up to a highly positive level in order to effect great change, he added. 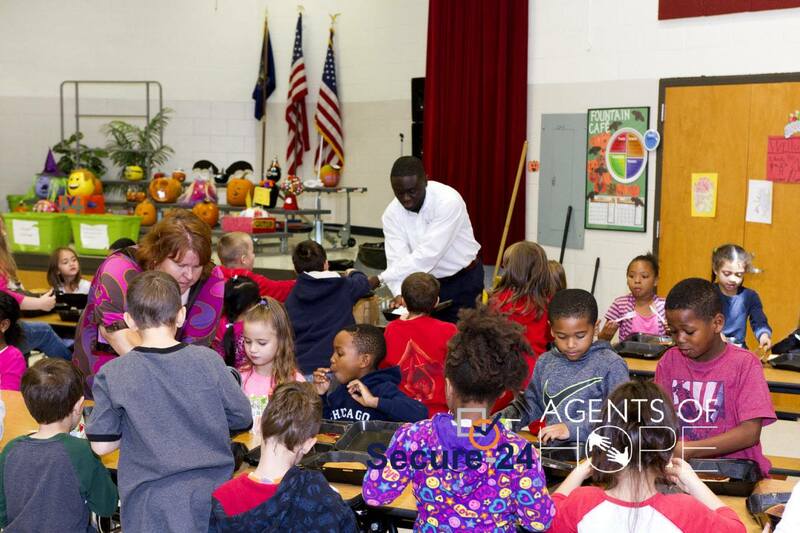 Special thanks to the young angels at Thirkell Elementary School, school teachers, principal and our passionate helpers, Shola Adedugbe, Julia Capobianco, Opeoluwa Anifowoshe, Tanisha Clay-Oloyede and Ola Salako. 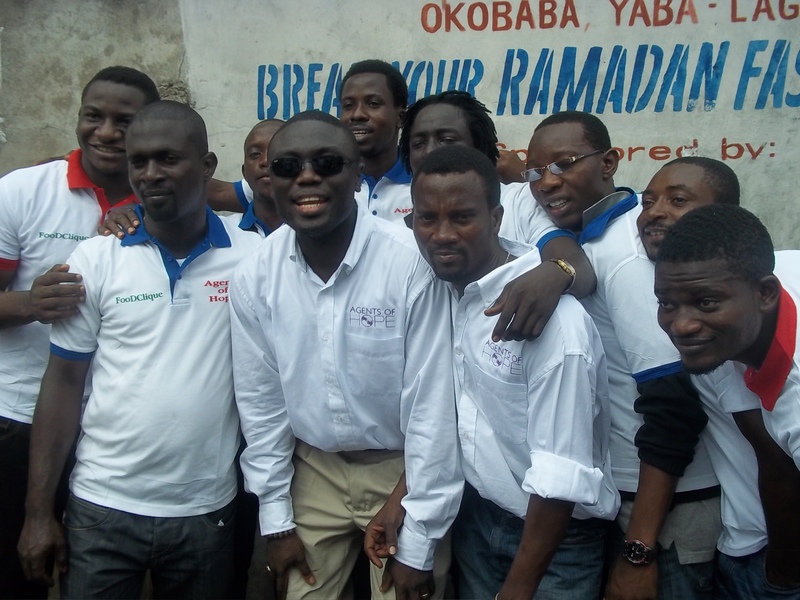 Lagos – July 31, 2011. 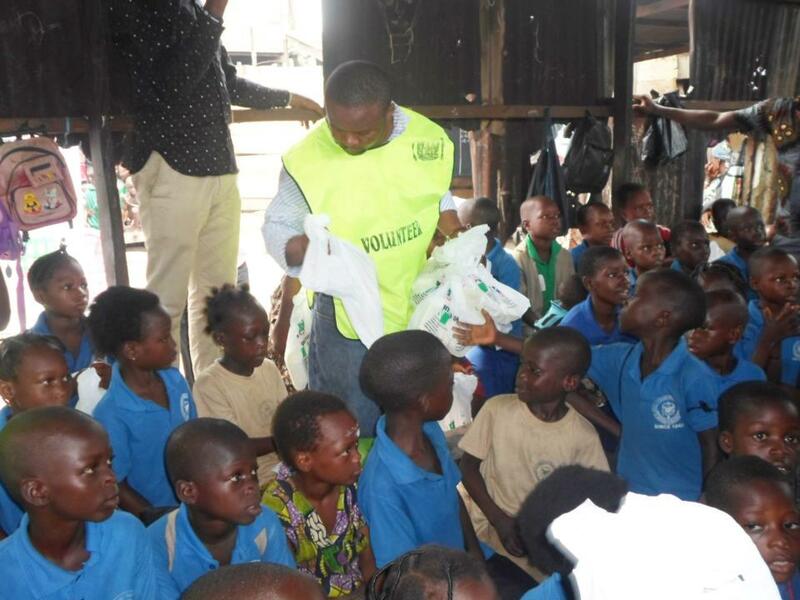 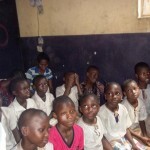 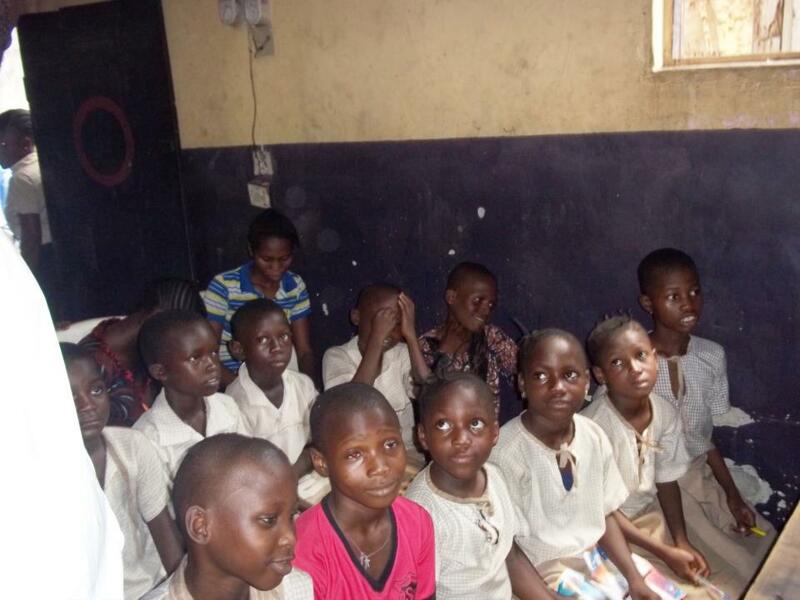 With FoodClique’s help and guidance, Agents of Hope recently visited and fed 200 hungry children at the Oko Baba Destitute Home in Lagos, Nigeria. 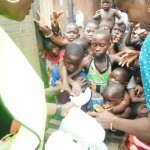 It was a joy distributing food and gifts to helpless kids even for one day. 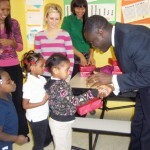 We look forward to great charitable opportunities in the near future. 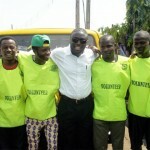 Special thanks to all the volunteers from Food Clique. 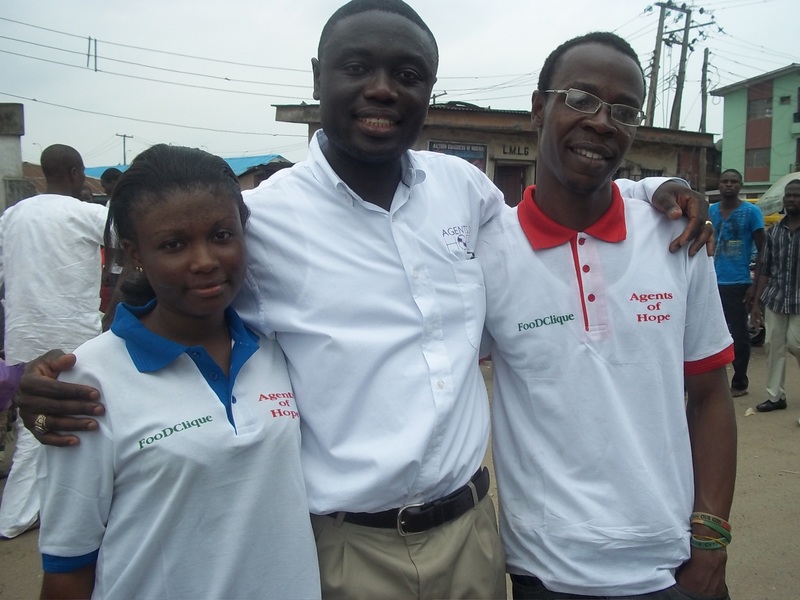 Mr. Bolajoko Fadipe of FoodClique and his team were so awesome. 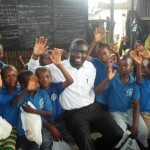 Your passion gives us great hope and it warms our souls. 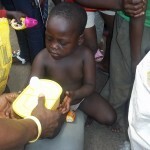 Let’s spread hope. 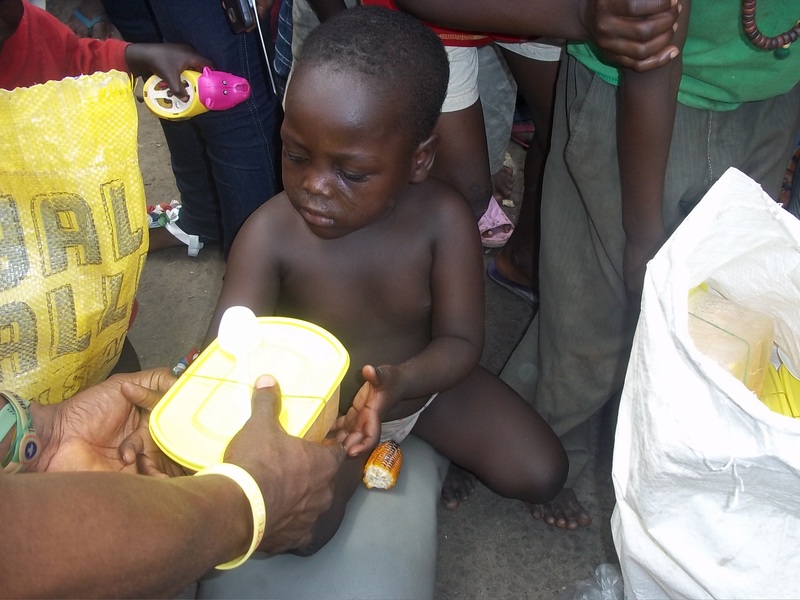 Let’s spread love.